Mughal motifs and jhumkas can never go wrong! 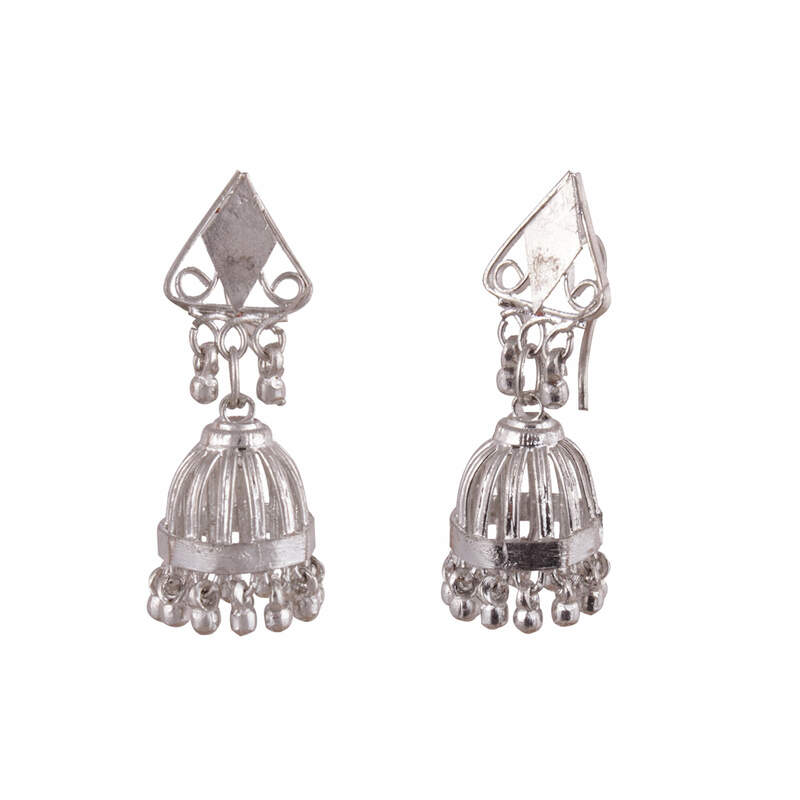 This unique pair fuses a bird cage style with a medieval mini jharokha pattern that adds length and aesthetics to this piece. 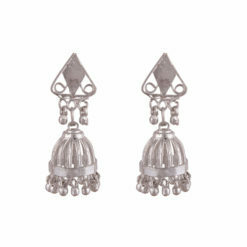 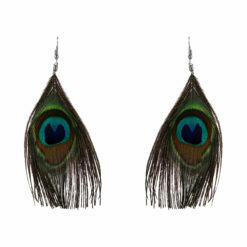 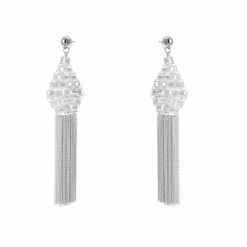 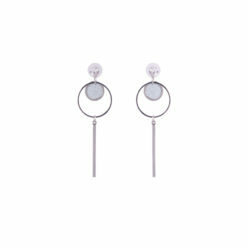 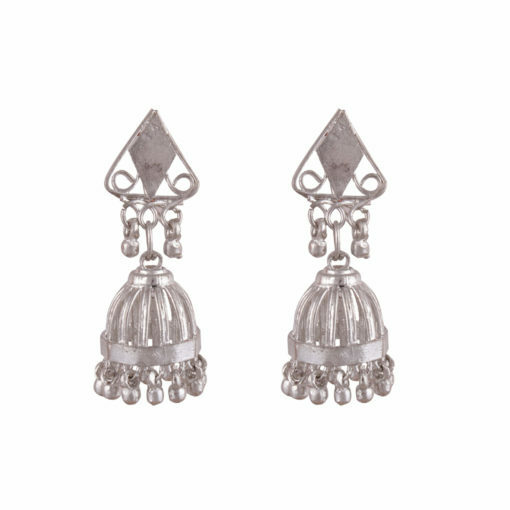 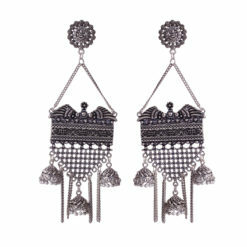 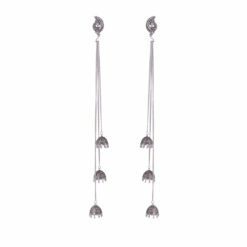 Made of corrosion resistant German silver, these earrings have intricate engravings and a high quality polished finish.